Raise needed funds for your charity or organization and spread the word about your programs with a free, calendar website using our website template. 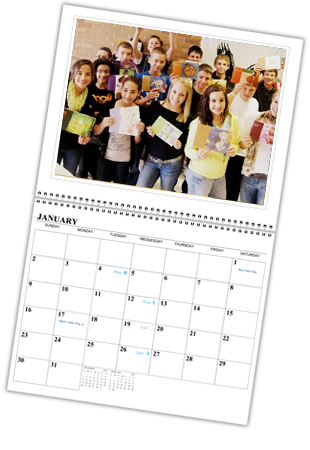 Design your own custom calendars, allowing your members to buy the pre-designed calendars or create their own calendars, using their personal or the organization’s photos. Provide consumers a way to support a charity of their choosing by buying a calendar and, at checkout, assign proceeds to any organization of their choice. Choose your selling price and profit while we take orders, print and ship to your customers. Up to 50% of the proceeds from calendar sales with a minimum of $10 from each order to benefit the charity. Tidelines can provide tide graphic files for you to create and print your own calendar for your business or a fundraising event. You can choose from 3,500 U.S. tide locations. Please call us at 760-753-1747 for more information. Copyright © 2012 Tidelines. All rights reserved.